You’ve heard doctors, nutritionists, and moms all namedrop them in diet conversations – but what exactly do these essential minerals do for the human body, where can you find them, how much should you be getting, and when? Playing a significant role in the way your body and mind operate, magnesium is involved in hundreds of processes in your body, including energy metabolism, protein synthesis, the building of bone, and more . The National Institutes for Health even warn: “habitually low intakes of magnesium…can increase the risk of illness over time” . Those illnesses include hypertension, cardiovascular disease, type 2 diabetes, osteoporosis, and migraines. This means getting less than the recommended amount of magnesium (300-400 milligrams a day for most people) can cause muscle cramping, fatigue, and irritability. But have no fear! 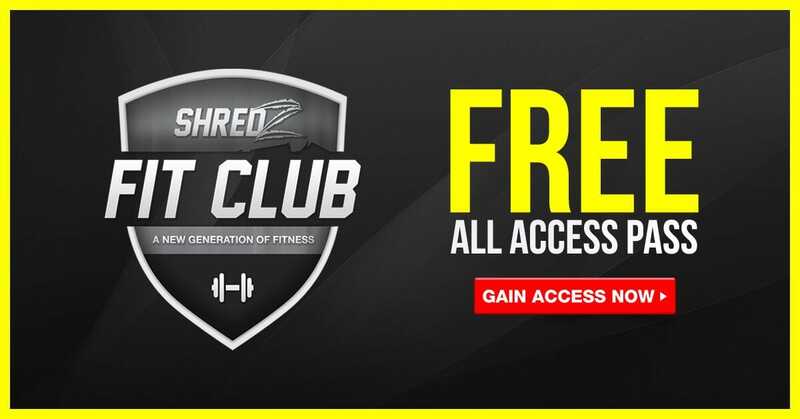 In addition to finding it (along with zinc) in Shredz Rebuild-PM, which has special formulas for both men and women, magnesium’s long list of food-based sources includes nuts, pumpkin and sesame seeds, rice, bananas, avocados, beans, and spinach. Zinc is especially important for those actively participating in a fitness-based lifestyle. According to the University of Rochester, zinc is a “potent catalyst” in the processes that the human body implements in order to heal wounds, warning that a deficiency of this mineral is a likely common cause of delayed tissue repair . Zinc has also been shown to truncate the duration of the common cold , help alleviate digestive distresses such as diarrhea and gastroenteritis, as well as the symptoms of PMS, and aid in the prevention of Major Depressive Disorder (MDD) . Researchers also speculate that the right amount of zinc may even be able to scope out and kill prostate cancer cells . The recommended daily intake for zinc is 8 milligrams for women and 11 milligrams for men; if you don’t take any multivitamins, you can find it in red meat, sunflower seeds, nuts, and beans. Magnesium and zinc, and other minerals as well, don't function in isolation. They work together in hundreds of cellular processes. Taking a lot of one and none of the other can cause problems absorbing other nutrients, so supplement smartly and take quality and safety-tested supplement blends like Shredz Rebuild PM. It’s wise to take a supplement that includes these minerals before bed. Your body uses magnesium and zinc, among other ingredients, as cofactors in the anabolic cellular processes that rebuild muscle during sleep. Getting at least 8 hours of sleep per night, along with proper nutrient supplementation, will ensure that you wake up having kept the progress you made yesterday, and with the energy you need to conquer the next hill! Whether you’re trying to lose weight or bulk up, your body will reap the benefits that these two minerals provide. Note, it is possible to take too much magnesium and zinc, so follow the instructions on the label, as with any supplement. Magnesium toxicity is serious and can cause low blood pressure, nausea, vomiting, flushing, urine retention, difficulty breathing, and lethargy. Such effects are seen at doses over 5,000 milligrams a day (remember, you need about 300-400 milligrams a day). Zinc toxicity could occur with doses exceeding 225 milligrams a day (remember, you need 8-11 milligrams a day). Symptoms of zinc toxicity include nausea, vomiting, pain, cramps, and diarrhea.